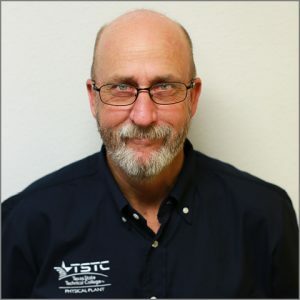 (Sweetwater) – The journey from student to employee has come full circle for two Texas State Technical College alumni who have been honored for their dedication and skills as employees at TSTC in Sweetwater. Maria Aguirre, statewide senior executive director of Communication and Creative Services, and Elizabeth Reyes, graphic designer, have received TSTC’s Chancellor’s Excellence Awards. “The Chancellor’s Excellence Award is a yearly recognition for teammates who consistently go above and beyond their normal job duties to improve our students’, and/or our College’s, success. Maria and Liz display, on a daily basis, these lofty attributes,” Rick Denbow, provost at TSTC in West Texas, said. Aguirre graduated from TSTC in Sweetwater in 1986 with an Associate of Applied Science degree in General Office Technology, an Associate of Applied Science degree in Accounting Systems and a Certificate of Completion in Information Processing. Starting as a student switchboard operator in a work-study program, Aguirre has been employed by TSTC for over 34 years. “I have dedicated my adult life to TSTC, and I believe in it. I have seen how it changes individuals and families and generations of families — how it can have a positive impact. It’s been my life, and I am honored to be a recipient,” Aguirre said. She was the first in her family to attend college and has since earned her bachelor’s and master’s degrees while moving up within TSTC. She is also a recipient of the Avery Award of Excellence for TSTC staff. Aguirre is a member of multiple educational organizations and has held several leadership positions as well. 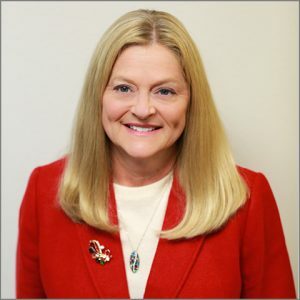 She is currently treasurer of the Texas Association of Community College Marketers. Reyes was surprised to learn she won the award and was overwhelmed with emotion. “This award means everything; I almost started to cry. 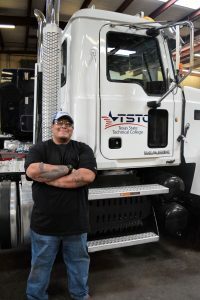 It means I’m doing right by the people who hired me and by TSTC,” Reyes said. Reyes graduated from TSTC in Waco in 2013 with an Associate of Applied Science degree in Graphic Design and Advertising, and from TSTC in Sweetwater in 2014 with an Associate of Applied Science degree in Software and Business Management. During her time as a student, Reyes worked as a campus housing resident assistant and a secretary for TSTC. “I hope I can inspire others as my mentors here have inspired me. 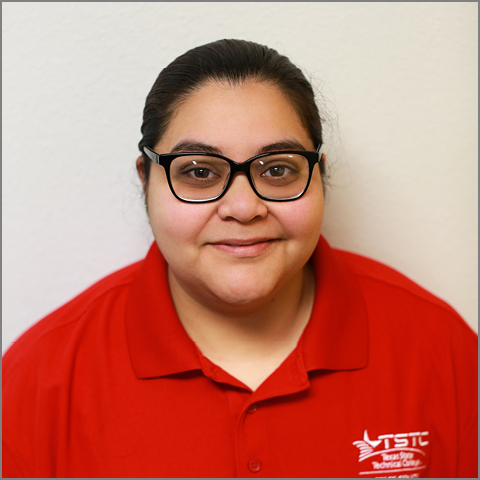 I am so thankful to TSTC in so many ways because they have shown me that they care about me and treat me like family,” Reyes said. 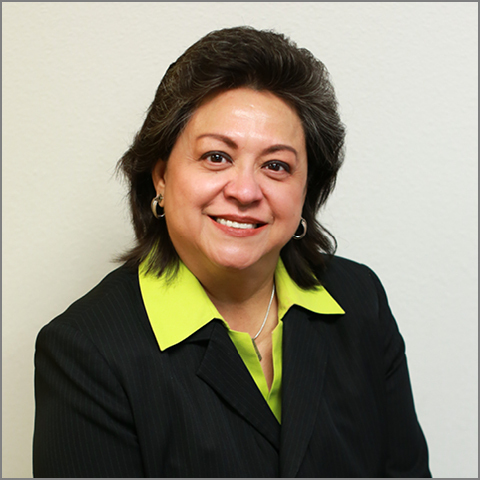 Reyes has worked with TSTC for over five years and plans to keep growing with TSTC. Aguirre and Reyes will join 33 other TSTC employees statewide who will be honored at the National Institute for Staff and Organizational Development’s Excellence Awards Dinner and Celebration in May in Austin. Maria Aguirre, from Texas State Technical College in Sweetwater, is the statewide senior executive director of Communication and Creative Services. She was awarded the Chancellor’s Excellence Award. Elizabeth Reyes, from Texas State Technical College in Sweetwater, is a graphic designer. She was awarded the Chancellor’s Excellence Award. 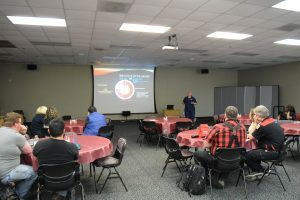 This entry was posted in Sweetwater, West Texas and tagged Alumni, Chancellor's Excellence Award, Sweetwater, TSTC, TSTC Alumni on April 19, 2019 by Sarah Trocolli. (Sweetwater) – There is change in the air: a change toward renewable energy. And Texas State Technical College alumnus John Nichols is a driving force behind that change. Nichols graduated with an Associate of Applied Science degree in Wind Energy Technology from TSTC in Sweetwater in 2010. He is now employed by North Dakota-based Wanzek Construction. He served as the company’s vice president of renewable energy from 2016 to 2018 and is now its senior director of business development. Nichols credits his time at TSTC, coupled with hard work, for his success in helping to lead the charge for wind energy. He encourages others to take advantage of the rewarding industry. “Wind energy is something exciting to be part of, and there is no better time than now to be part of the renewable energy revolution,” Nichols said. 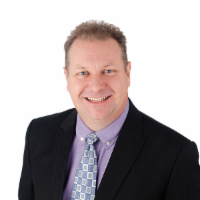 Nichols was a nontraditional student who sold his successful real estate business in 2007 to pursue his passion for renewable energy. After graduating from TSTC, Nichols worked for Siemens Gamesa, where he was promoted five times in six years, eventually becoming field engineering manager. At Wanzek Construction, Nichols plays an active role in identifying new and creative ways to keep wind competitive in the renewable energy market. “With new technology coming and the offshore market growing, we’re seeing a decrease in cost for wind energy, which makes it even more competitive with fossil fuels,” Nichols said. In Texas, wind energy makes up 14.89 percent of energy produced statewide, according to the U.S. Energy Information Administration. “It’s an industry on the upswing, and it’s an industry people from all walks of life can be successful in,” Billie Jones, TSTC Wind Energy Technology statewide department chair, said. Part of Nichols’ success, and what he looks for when recruiting new talent, is common sense and life experience. “It’s important to have a passion and interest for this field. But also to be a good technician you have to have some common sense and be comfortable around machinery. You need to be reliable and be willing to do the work,” said Nichols. Nichols hopes others will recognize the potential available to them in wind energy. TSTC in Sweetwater alumnus John Nichols helps to lead the charge for wind energy. This entry was posted in Sweetwater, West Texas and tagged Renewable Energy, Sweetwater, TSTC, TSTC Alumni, Wanzek Construction, West Texas, Wind, Wind Energy on February 13, 2019 by Sarah Trocolli. 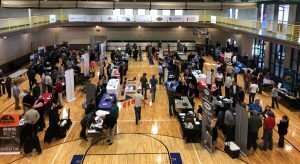 (Sweetwater) – It’s time to start the engines and drive toward the future for many area high school students.Thanks to a partnership between their schools and Texas State Technical College, students can earn early college credit. TSTC established a dual enrollment Automotive Technology program for Brownwood and Snyder high school sophomores, juniors and seniors in the fall of 2018, at no cost to the students themselves. Those students can earn up to 12 college credit hours toward a certificate or an Associate of Applied Science degree in Automotive Technology and work at a local internship. Students attend class at their high school facilities but follow a carefully structured curriculum created by Rudy Cervantez, the statewide department chair for TSTC Automotive Technology. The curriculum follows the Automotive Service Excellence Educational Foundation Alliance for Maintenance and Light Repair Standards. Students spend their sophomore and junior years working on the curriculum and their senior year working at an internship. “Since these schools already offer shop class, why not jump-start these students and have something to show their families that they’re working toward their futures?” Cervantez asked. TSTC works with the instructors to ensure that they are Automotive Service Excellence-certified and the facilities have the right equipment. According to the U.S. Bureau of Labor Statistics, Texas is the second-leading state employing automotive service technicians and mechanics. 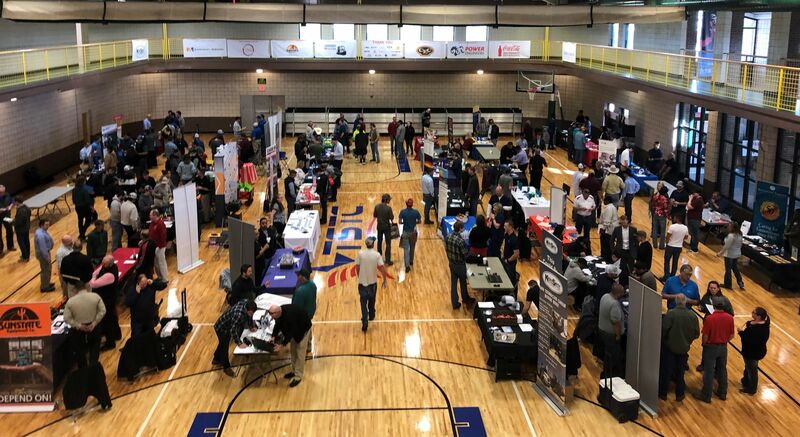 “It allows us to promote different higher education and career opportunities to the students, which encourages them to do well in school now so they can pursue all the options available to them,” Janell Martin, principal at Snyder High School, said. 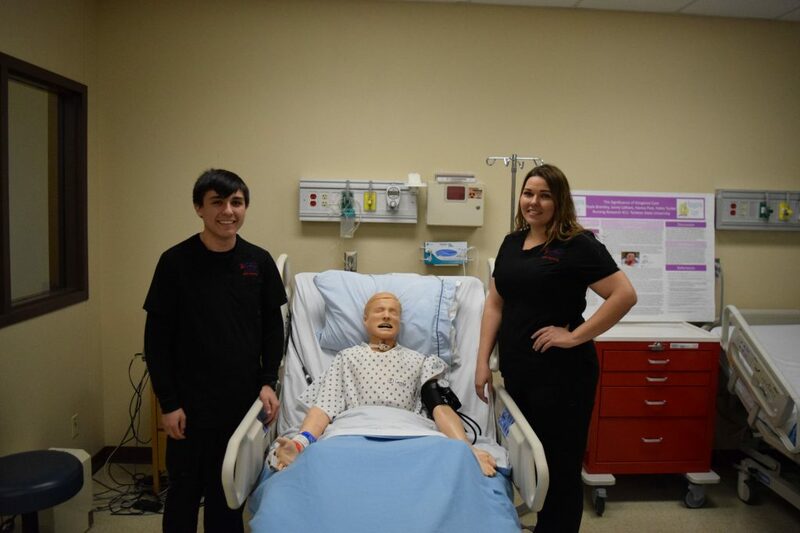 Students follow the same syllabi and curriculum as they would if they were in an actual classroom at TSTC. Brownwood High School has 30 students in the program, while Snyder High School has nine. Snyder High School students enrolled in the Automotive dual credit program with TSTC in Sweetwater replace an old car battery. This entry was posted in Sweetwater, West Texas and tagged Auto, Automotive, Brownwood, Dual Credit, Mechanic, Snyder, Sweetwater, TSTC on February 11, 2019 by Sarah Trocolli.